When it comes to all of the capital opportunities available for energy efficiency upgrades, building and business owners need to determine what is right for them. 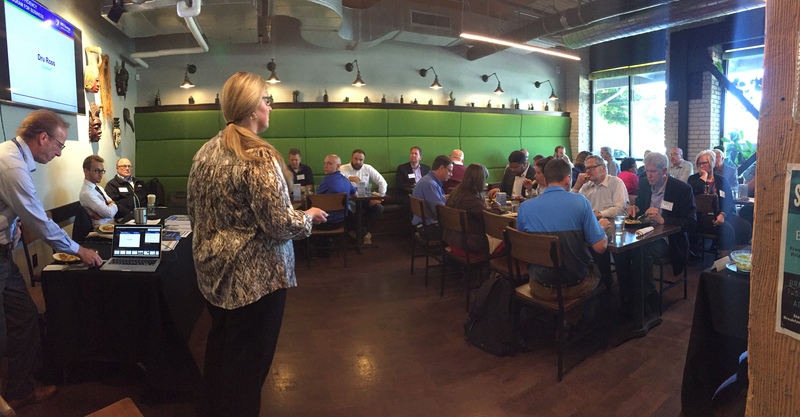 On Wednesday, September 12th, we put Michigan’s largest programs together at City Built Brewing to explain how they can help drive down the price of efficiency upgrades. Dru Ross is a CEM (Certified Energy Manager), representing DTE Energy’s Energy Efficiency Program for Business as an Energy Advisor. Ross has years of industry experience and a passion for helping businesses dissect the nuances of incentives available from the utility company. Ross debunked the notion that, in the interest of profit, utilities don’t care about energy efficiency. With consumption predicted to rise, infrastructure and regulatory constraints aren’t able to expand enough to fill the need. In fact, 35 percent of DTE electric needs must be met by energy efficiency and renewable generation. As we say, the cheapest KWh is the KWh never created. Ross pointed out that an Energy Optimization Surcharge is added to all ratepayers’ bills. These funds are directed back to customer when they take advantage of rebates which are designated for energy efficient technologies. Lowering energy waste in buildings help utilities reduce generation demands and offset new capacity expansions. To date, $166 million incentives have been invested in Michigan ratepayers by DTE, thereby saving $500 million of energy costs. See DTE Energy’s full presentation here. Todd Elliott, Energy Advisor with Consumers Energy presented a concerted utility voice with Ross, highlighting Consumer Energy’s specific programs. Elliott presented Consumers Energy largest savings goal yet of 350 thousand megawatt hour reductions and 1.4 Million MCF offset. To date, over $50 million in incentives have gone straight to ratepayers’ upgrades. Consumers Energy offers a 30% bonus for Michigan made products and several other specialty programs. See Consumer Energy’s full presentation here. Elliott emphasized the prescriptive possibilities for a variety of projects, and for measures which are outside of the prescriptive program – “Talk with your energy advisor” he implores, “we’ll find the optimal savings for you.” (See below for energy advisor contact information). All Michigan utilities offer rebates and incentives that significantly reduce the initial cost of energy efficiency projects. Financing to “free up” capital is available through Michigan Saves and PACE (Property Assessed CleanEnergy). Todd O’Grady demonstrates that Michigan Saves offers affordable loans for residential, commercial, public sector, and multifamily. 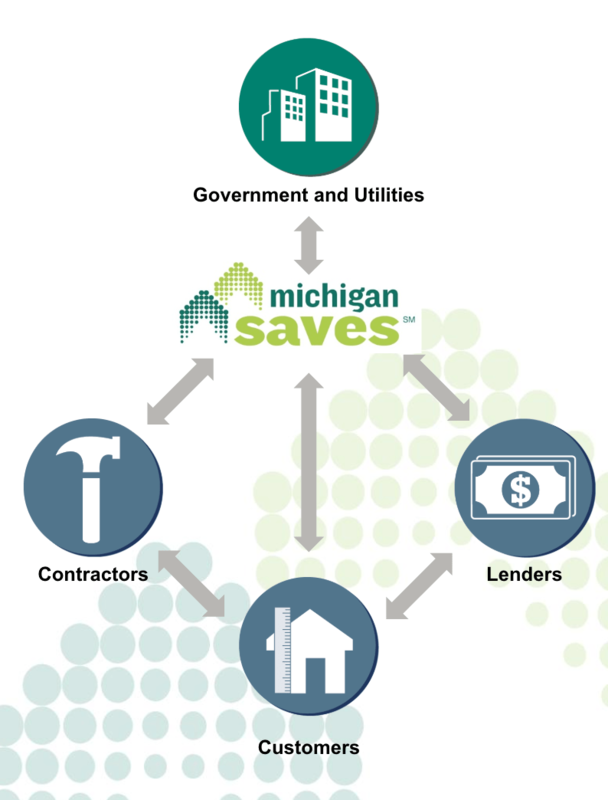 Serving as the mediator between government & utilities and the relationship between contractor, business owner and lender, Michigan Saves is dedicated to making energy improvements easy and affordable. The typical commercial loan finances between $5,000 – $300,000, with rates starting at 6.99% for up to 60 months. Michigan Saves is a non-profit, green bank which serves as loss reverse for lenders and oversight of authorized contractors. See their list of vetted and approved contractors. Michigan Saves can help finance improvements from LED Lighting to Solar Photovoltaics. See O’Grady’s full presentation here. Wrapping up the event was Christian Koch, Business Development Driver for Levin Energy Partners, LLC. Levin Energy Partners is an administrator within the open market at Lean and Green Michigan working to make PACE financing available to all Michiganders. The PACE Act was passed in 2010 and enables a private-public partnership that promotes a long-term financing mechanism. The model allows commercial property owners to finance large scale energy efficiency projects without incurring upfront costs. This program is eligible for properties with a value greater than $400 thousand and an annual utility expense of at least $60 thousand. Property owners receive 100% financing for energy saving upgrades on their facilities and pay the PACE loan back through a special assessment on their property taxes. The loan is attached to the building, not the owner. This signifies that the payments can be dispersed amongst tenants, and transferred to a new owner if the case of a sale or asset disposal. Without upfront costs, the long-term financing (up to 25 years) as a fixed interest rate which ensures that the value of the energy saved is more than the loan payment; an immediate net positive cashflow. Similar to Michigan Saves, Levin Energy Partners LLC, works with approved local contractors and the building owner to guarantee the energy savings. See Koch’s full presentation here. Many resources were presented for the audience to consider. 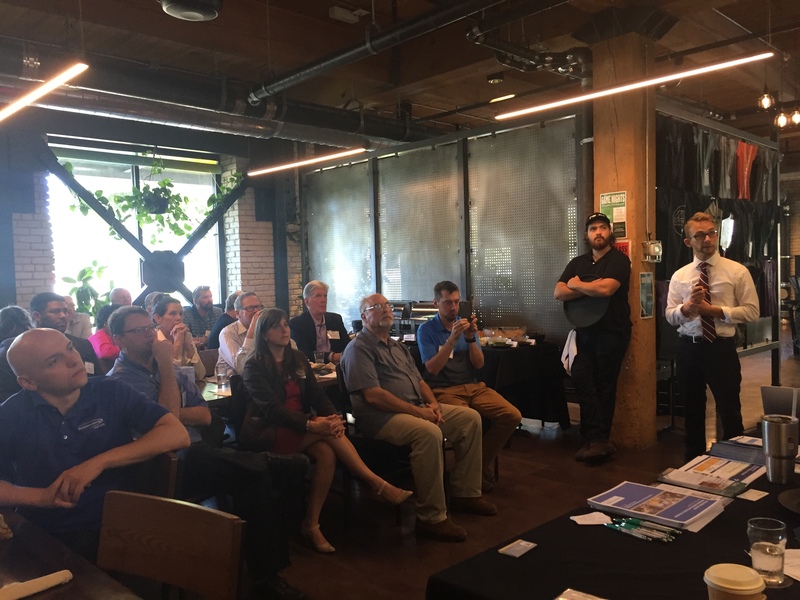 Guests left with a clear understanding of the financial opportunities that will drive down the sticker price of energy efficiency investments, and garner the savings that follow. Additional tools & resources can be found on the Grand Rapids 2030 District website: http://www.2030districts.org/grandrapids/resources.